Please join us as we celebrate the life and work of Dr. Masaru Emoto (1943-2014). Please scroll to the bottom of the page to listen to the July 25, 2014 interview with Dr. Emoto where we successfully brought peace between the Israelis and the Palestinians in the Gaza strip. In an intention experiment, we asked everyone around the world to pray for a 12 hour cease fire so food and medical supplies could be given to the wounded. Within hours, the experiment worked and the Israelis and the Palestinians agreed to the cease fire. We are powerful spiritual beings – the planet is rapidly evolving and ascending into the higher spiritual realms, and the dark forces are on the run because the planet is changing in so many positive ways! I hope you will all listen and join us for this very special program to celebrate Dr. Emoto, and the New Earth where war, poverty, and fighting will be replaced with peace, love and harmony! 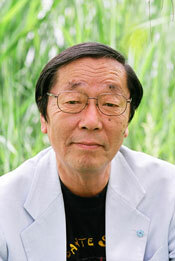 For more information on Dr. Emoto, please visit his show page on this website.